Magnificent to-be-built Moody Beach oceanfront property! Exceptional design with huge architectural appeal offering upscale finishes & quality craftsmanship throughout. 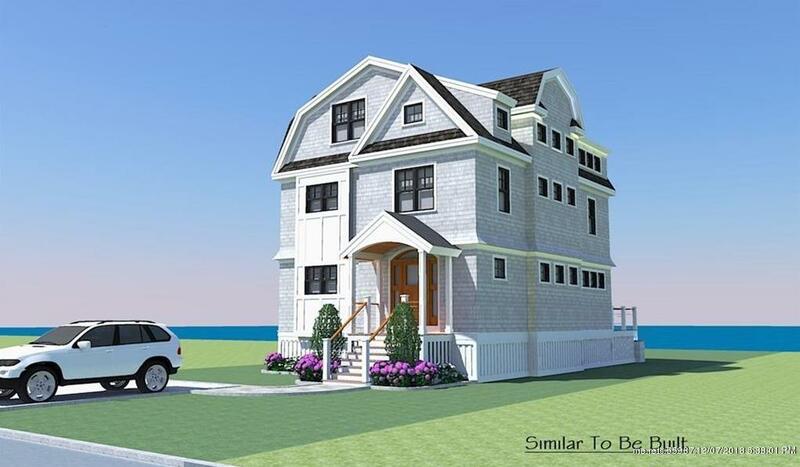 This fine home is to be constructed by the area's premier seacoast builder. Spacious open concept living/dining room space and an outstanding kitchen with stylish breakfast bar, custom cabinetry, elegant counter tops and high-end appliances. Two en suite bedrooms and two additional bedrooms offer plenty of room for friends and family. The entire third floor is dedicated to the master bedroom suite & is like no other! Amazing master bath with more custom cabinetry and a stunning walk-in shower. Awesome lot with fantastic outdoor space and amazing views from Moody Point to the Cliff House in York. Walk the beach all the way to Ogunquit. Five minute stroll to the sands of Moody Beach. Photos featured are of a similar quality home. 577A Ocean Avenue (MLS #1377445) is a contemporary, shingle style single family home located in Wells, ME. This single family home is 2,960 sqft and on a lot of 4,792 sqft (or 0.11 acres) with 4 bedrooms, 4 baths and is 1 years old. This property was listed on 12/07/2018 and has been priced for sale at $2,295,000. Listing Last updated 02/27/2019 2:30 PM CST . Some properties which appear for sale on this web site may subsequently have sold or may no longer be available. Walk Score provided by Walk Score. Mapping data provided by Google and Bing.